Healthy Eating is something which many people consider these days. How about you? Are you one of them who concern about healthy eating? However, In order to eat healthy, the most important step to take is to make the right food choices. Finally, Eating healthy is all about what you eat. Among the healthy food choices, grains, vegetables, fruits, milk and beans play an important role. When it comes to vegetables, try to eat around 2 1/2 cups of them each day. Try to start eating more of the dark vegetables, such as broccoli and spinach. 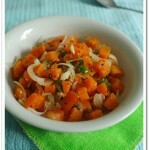 At the same time, Carrots and sweet potatoes are good additions as well. Try to add more dry beans such as peas, green beans for your diet. What is your opinion about healthy food preparation or healthy cooking? 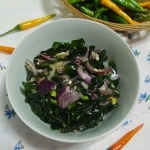 In my opinion, It is important to consider the cooking method same as the food choices, if you are on healthy eating. 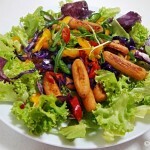 Eating raw vegetables in a form of salad is a popular way among those who try to adapt a healthy lifestyle. 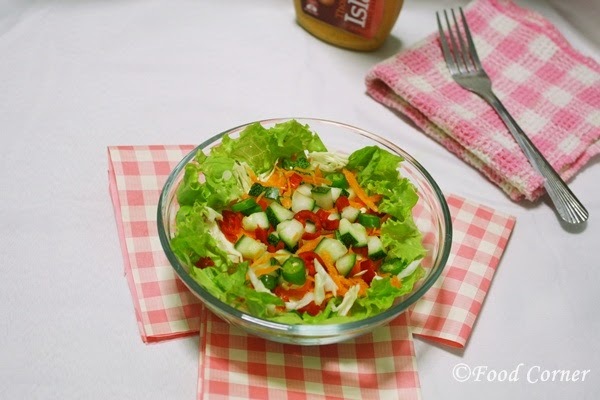 By adding different coloured vegetables, it is easier to prepare a healthy salad with a certain nutrients level. 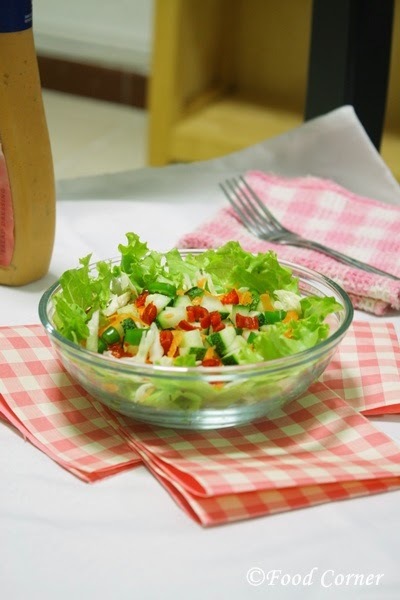 Since I am a big fan of raw salads, today, I thought of sharing a quick salad recipe with you all. 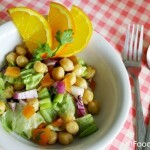 I hope this salad recipe will inspire you to eat healthy even during a busy lifestyle. 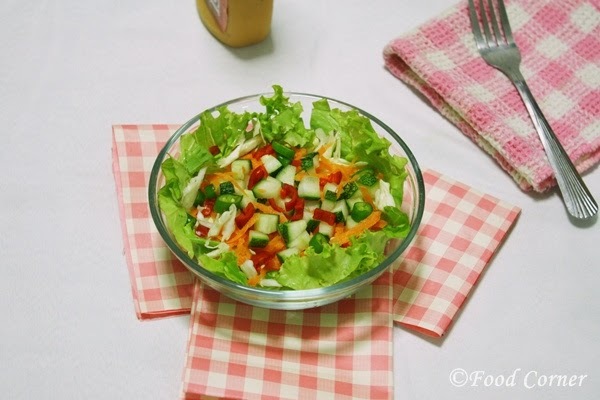 For this salad I used fresh lettuce and they added a beautiful green to this salad giving more appealing look for the salad. Other vegetables such as carrot not only added more colours to the salad, they also added more vitamins allowing someone to satisfy his meal. I added both red and green chili to add more colours. Instead of chili, you can consider bell peppers too. Once clean all the fresh ingredients, cut them coarsely. Mix all in a bowl. Add the dressing as required. Mix well just before serving. Add salt and pepper if required. This was a quick salad and I used Thousand Island as the salad dressing. Do you have any dressing suggestions? Great tips on how to eat healthy and the right recipe for that too. I eat anything and everything but all about moderation coupled with being active. Yes,Even I like to eat things in moderation.and thanks for mentioning about being active.That’s what we need nowadays among all these for a healthy lifestyle…. 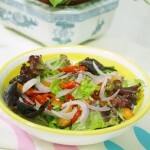 Healthy n colorful salad..looks delicious! 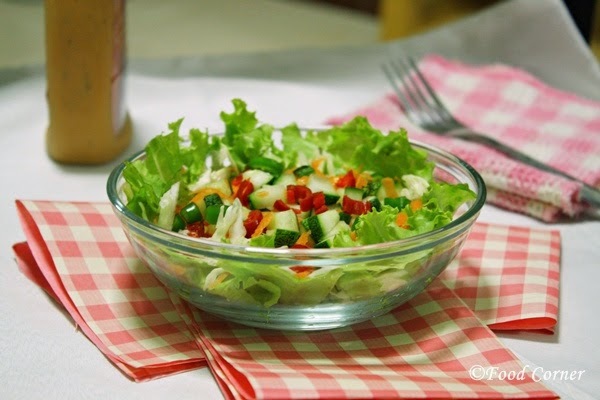 Inviting as well as healthy salad. 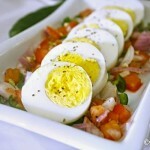 Very informative and helpful article and recipe is a perfect match for a healthy eater…..